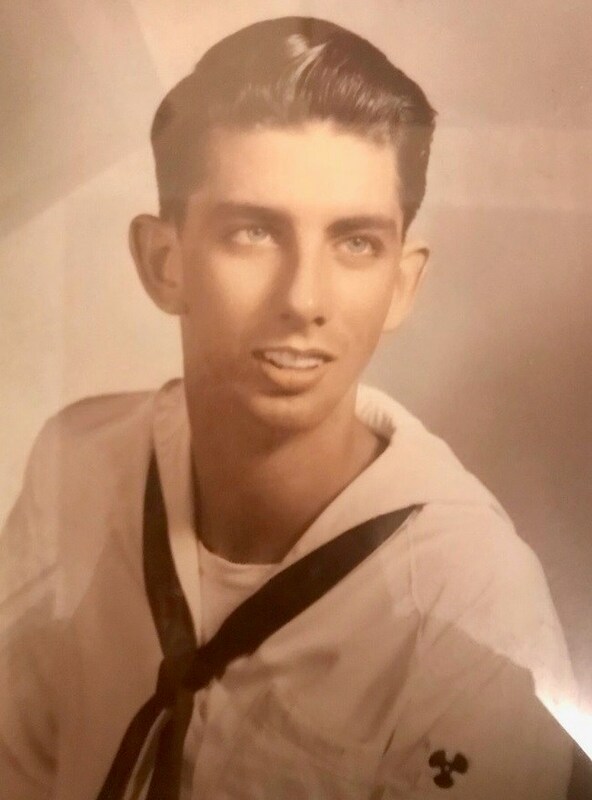 NELSON, Llewellyn William, ?Lyle", aged 82, passed away peacefully surrounded by his family on Thursday, March 14, 2019, at the James W. Quillen Veterans Medical Center. Lyle is survived by the love of his life, Bernice Evelyn Tobin Nelson; his daughters, Laurie Rose (Orlando) Nelson; Yvonne Jennifer (Jim) Nelson Bolen; Jennifer Anne (Brad) Nelson Wiseman; and Joyce Evelyn Nelson; his niece and nephew, Nanette and Andrew Nelson; his grandchildren, Francis-Xavier Ron (Keenah) Akst, Harumi (Dean) Chavez Salas, Rodrigo (Maria) Chavez Salas, Antigone-Violeta Deborah Salas, and William Bolen; his great-granddaughter, Shoshi Hernandez Chavez; and his devoted fur babies. Lyle is preceded in passing by his parents, Andrew and Dorothy (ne? Moore) Nelson, Of Blessed Memory; and his brother, Andrew ?Bud" Nelson, Of Blessed Memory. A lifelong animal lover, Lyle was born in Detroit, Michigan, July 23, 1936, to Andrew Nelson, Of Blessed Memory, and Dorothy Florence Moore, Of Blessed Memory. Andrew and Dorothy met post WWI. Andrew had served in the Army in Europe, and while visiting a speakeasy in Detroit, met Dorothy, who had emigrated from London, England after the war, was working as a waitress. Being born during a thunderstorm, his mother named him ?Llewellyn", which means lightning in Welsh. Andrew and Dorothy had a passionate and turbulent marriage; and Lyle loved to tell stories, which his daughters loved to hear, of growing up in Detroit with his parents, his brother, his dog Cherwin, and the monkeys his mother kept as pets throughout her life. He really didn?t attend high school, saying ?I walked in the front door and out the back", thus having an 8th grade education. Lyle entered the US Navy at 18, serving in Korea and sailing around the world. The stories of his adventures in the Navy were always exciting, and he truly lived the sailor saying of ?a girl in every port". He would laugh and say, ?They gave me a medal for occupying Europe, but I really occupied the whorehouses". He went as far as he could in the Navy, becoming an officer, and followed his military service with a career in the Merchant Marine, working for Sealand, where he was a First Engineer. He was an incredibly smart man, a welder and inventor, who would create whatever he needed, such as wood splitter, a wood and coal burning furnace, and many other machines. He could fix all motors, and with his John Deere backhoe, dug drainage and created a frog pond in our yard in New Jersey. There was nothing he couldn?t fix or make. After his Navy service, he went to Boston, Massachusetts, where he met the young nursing student who would become his wife, the mother of his children, and the love of his life for the next 58 years, Bernice Tobin Nelson. They moved to Vienna, New Jersey where they raised their family, moving to Elizabethton, Tennessee thirty-two years ago. Lyle was a member of the Merchant Marine Union, and a lifelong member of the Moose Lodge of Elizabethton. He worked for years with the Animal Shelter, finding homes for and fostering dogs and cats, and was a volunteer member of the Honor Guard as a member of the VFW in Elizabethton. His family is devastated at losing him. Services and burial will be held at 2:30 pm on Monday, March 18, 2019 at Mountain Home National Cemetery in Johnson City, Tennessee. In lieu of flowers, please make a donation in Lyle?s memory to the animal charity of your choice.